With more than 8,500 performances to date, La Nouba by Cirque du Soleil has been a Disney Springs staple for almost 20 years. Since its inception in late 1998, the show introduced many new acts; the most recent additions include a duo of comedic clowns followed by world-famous break dancers and a real-life couple skilled in the rarely-seen art of aerial bamboo. La Nouba has been seen by over 10 million Guests and it will continue to operate until the final performance takes place on Dec. 31, 2017. The Walt Disney World Resort continues to have a strong relationship with Cirque du Soleil, and the resort should be sharing news about exciting new entertainment at Disney Springs in the months ahead. With ten months to take in a performance, Guests still have plenty of time to be mesmerized by the artistry of the talented “La Nouba” team. For additional details, including current offers, or to purchase tickets, Guests may visit Walt Disney World's official website or call 407-939-7600. Is it possible that Circ de Sole is not leaving? Are they just retiring "La Nuba" and will reopen with a newly themed/named show after a period of retrofitting the theater? Stay tuned for further developments. In the Orlando Sentinel article about the closing, the spokesperson said "There will be news to come" with regard to what is next. I take that as confirmation that Cirque du Soleil is staying at Disney Springs. 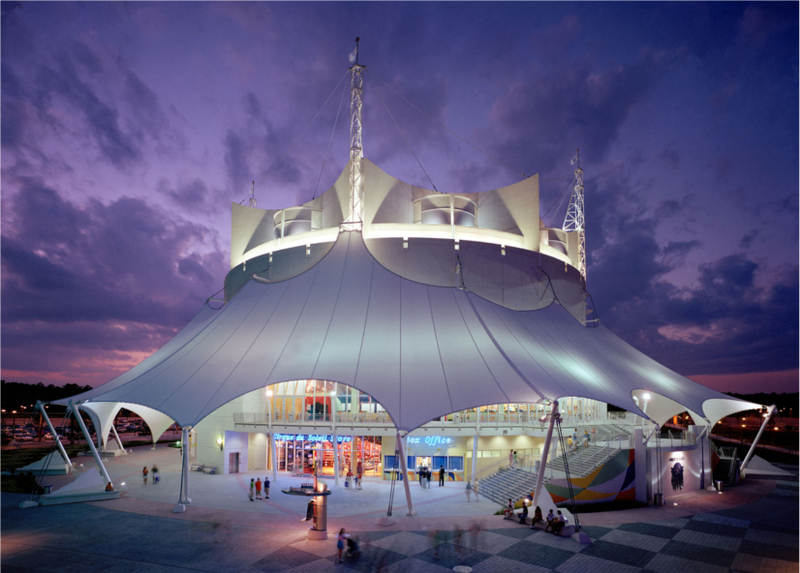 One rumor is that during the time the permanent theatre is closed, Cirque du Soleil will place one of their touring "tent" shows in the parking area near the theatre. Cirque du Soleil has a huge catalog of shows from which to choose. Seeing a show in the "tent" is a fun experience. With full air-conditioning/heating and padded seats, it's quite comfortable, too. Doing this would give thousands of guests a reason to be on the West Side. Those guests are important to the restaurants and shops on that side of Disney Springs.